At the New York show, I met Todd Dezago and Craig Rousseau, who are working on their series, The Perhapanauts. I had a great chat with Todd and got a pretty cool commission from Craig. 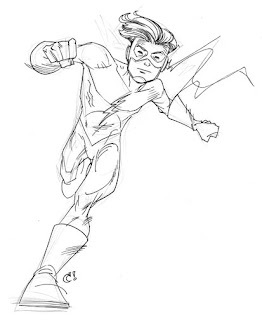 I asked for 'any version of Wally West', and Craig chose to draw Kid Flash!